Pattern Imprinted Steps It is important that we match the entry steps to your house and we ensure that the pattern imprinted steps match the pattern imprinted driveways, patio and pathway. 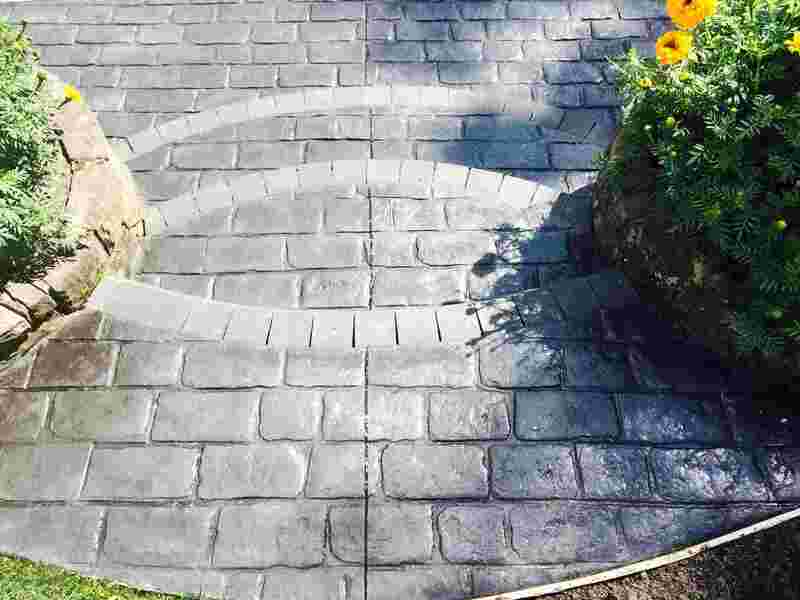 It can be the same design and colour to your driveway/path or we can use a totally different design or colour to suit your requirements. 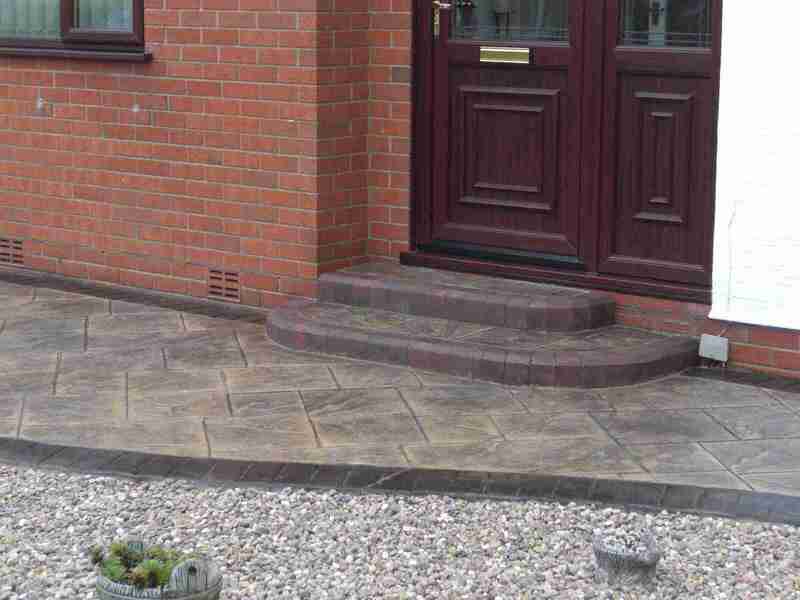 Here at Creative Driveways we offer the perfect solution for improving the look of your steps and stairways. 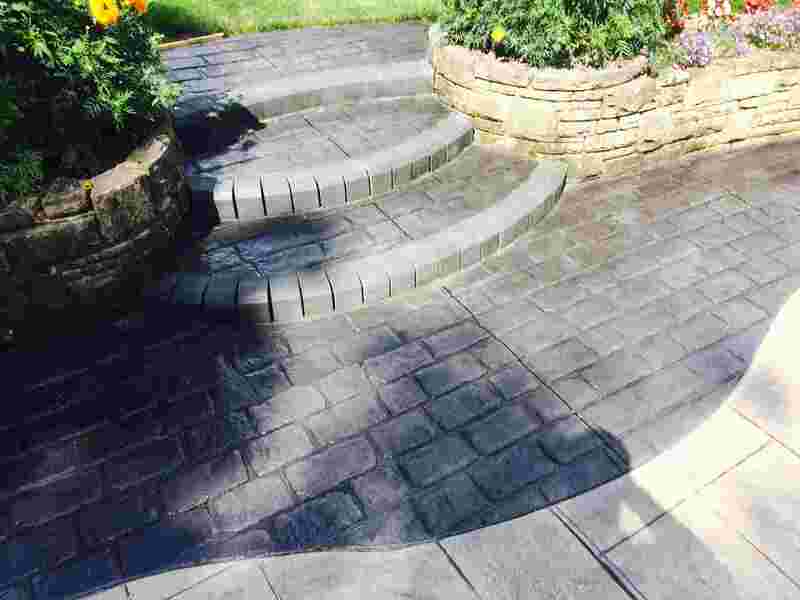 Pattern Imprinted steps not only add safety and durability to the entryways to your home; but also improve the look of your pathways, patios and driveways by adding the finishing touch. 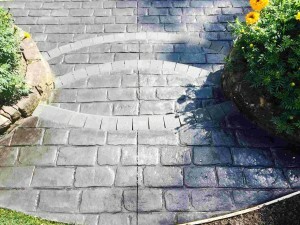 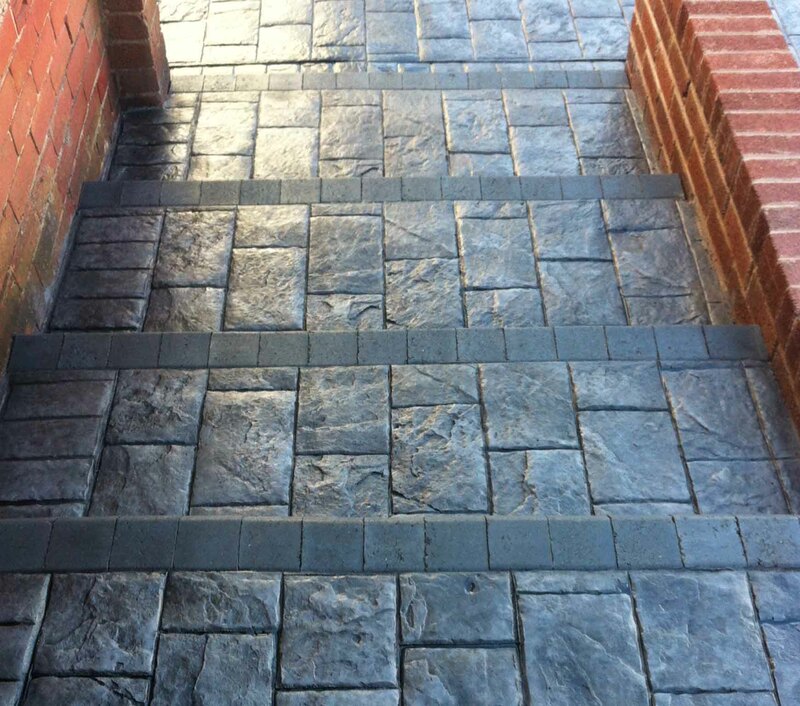 We can use the same materials, techniques and finishing for your steps as we do for your driveway, patio and paths so the steps blend in and compliment the work as a whole. 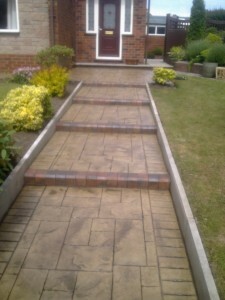 As you can see there are many different syles and designs we can use to suit the situation and your requirements. 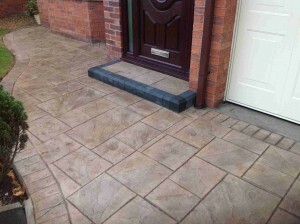 Creative Driveways of Lancashire Ltd prides itself on creating and installing pattern imprinted steps to match the path and driveways to the highest standards possible. 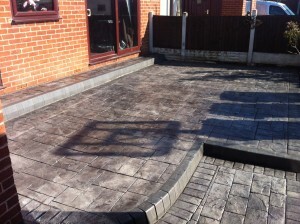 We are based in Hutton, Near Preston and mainly cover Preston and the whole of the Lancashire area. 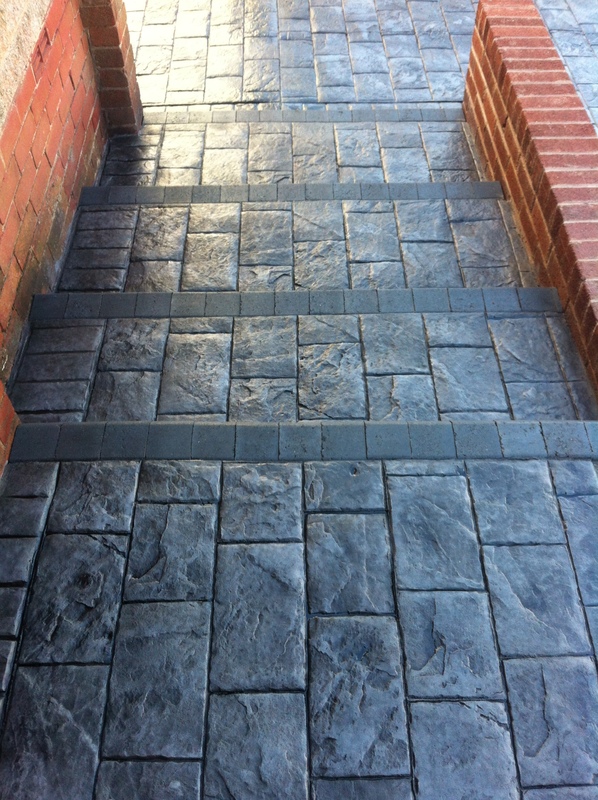 We take great pride in our pattern imprinted steps and have a very good reputation in the area for our expertise and professionalism. We have been creating beautiful pattern imprinted steps for homes for the last 20 years throughout Lancashire. 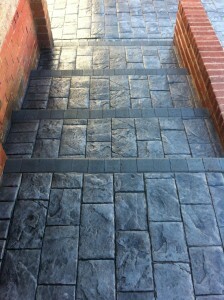 Please see below advantages you have with a Pattern Imprinted Step. With over 20 years experience as a family run business we can offer an unrivalled service for customers who are looking for a highly versatile, maintenance free, individual and quality product.